If you get injured at work, you suddenly have many complicated issues to deal with. Other than the medical costs and recovery, you might be threatened with losing your paycheck, might have to negotiate with your employer to go to the doctor you want, and might not even be able to perform your job duties anymore if the injury is severe. At our firm we are experts in workers’ compensation law. We’re ready to help you navigate through the complications of rules and requirements to get the most from your workers’ compensation claim. Workers’ compensation law is to help people have been injured at a work. These injuries can include things like accidents and damage from repetitive motion. When a worker is injured, their employer and their insurance company have the responsibility to provide medical treatment. You are entitled to all treatment that necessary to help you recover from the injury. If you aren’t getting the care you need, you need a workers’ compensation lawyer to help you receive this compensation. Temporary disability. 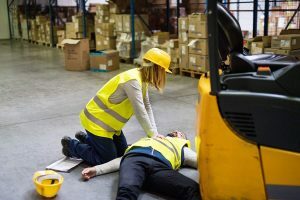 If you’re temporarily out of work for a certain period of time because of your injury, you should receive two-thirds of your weekly wage while you recover. Training benefits. If you need education to go into another career because of your injury, you may be entitled to compensation to cover school, counselors, and supplies. Permanent disability. If your injury caused permanent loss of use of part of your body, you may be eligible for permanent benefits. Your workers’ compensation lawyer can help you understand these potential benefits and eligibility. We have been representing injured people in the Greenville, SC, area since 1980. We help workers from all industries establish their claims. If you were injured at work, call us today at 864-242-1366 for a free consultation. We work with clients throughout South Carolina.